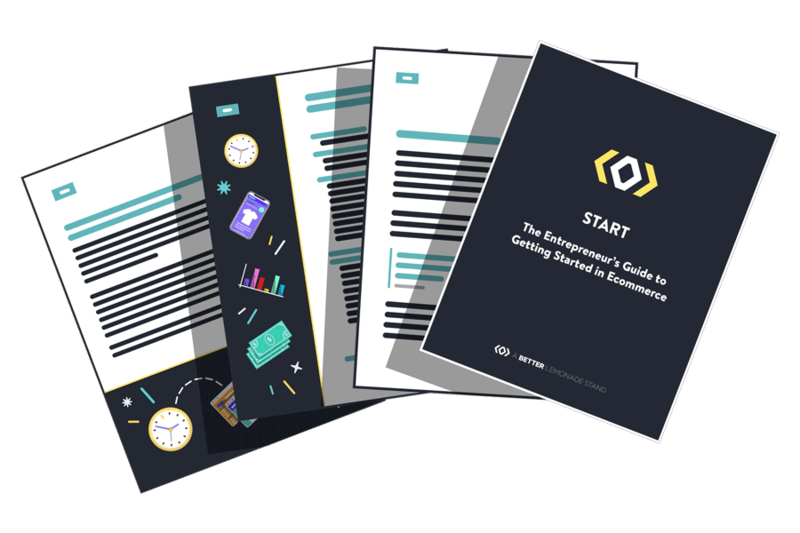 Whether you’re launching your first ecommerce business, or if you’ve been selling online for a while and you’re only now getting around to figuring out the accounting side of things (don’t worry, we get it! ), we’re here to help you make sense of small business accounting for your ecommerce business, so you can sail through tax season as easily as possible. We’re going to cover a lot in this small business accounting guide. Feel free to jump straight to the section you’re interested in, or grab a coffee and read this post from top to bottom. When you’re finished, you’ll have a clear understanding of what you need to do to make the tax man happy and get your ecommerce accounting in order. Now, let’s get into some basics so that you’re on top of it all. Note: It’s important to note that accounting is a complicated subject that has many variables. You should always conduct your own due diligence and consult your own accountants and/or lawyers before accepting and implementing any advice online. This is a popular choice amongst new business owners because it’s relatively simple and affordable to set up. The first step is ensuring you have the proper licenses and permits for your state. This will largely depend on your region and industry. This Small Business Association Guide will help you figure out what you need to do for your area. As the name suggests, you’re the sole owner of this business structure. That means you won’t need to consult a board of directors, partners, or shareholders, which many owners find freeing. The downside to this structure is that there isn’t any separation between yourself and the business; you’re one and the same in the eyes of the IRS. This means you could be held personally liable for any business debts (i.e., the IRS could seize your bank accounts, retirements funds, or your home to cover debts). This is something you’ll want to seriously consider when setting up your business. A Limited Liability Company, or LLC, can be a great choice because it affords personal liability protection for the owners. This means your personal assets would be legally protected if there was a lawsuit against your business or debt. This is a big benefit over the Sole Proprietorship we discussed above. LLCs also have the unique option to file taxes as a sole proprietor, a corporation, or a partnership. You can run a single person LLC and be taxed as a sole proprietor, or you can elect to file business taxes as a corporation. Similarly, if your business has multiple owners you can elect to file as a partnership or as a corporation—whichever is better for you. The downside to LLCs is that they can have short life expectancies. If one member leaves the company, the other owners usually have to dissolve, because it’s difficult to transfer membership interest. One way to avoid this issue is to include an exit plan in the operating agreement. To form an LLC, you’ll need to choose a business name, file articles of organization, draft the operating agreement, and acquire licenses and permits. Learn more about this process here. A corporation is a separate entity, and from a tax perspective, is considered to be a separate taxpayer. This structure comes with additional legal protection and favorable corporate tax rates. Corporations can also raise capital for the business by selling equity to investors. Because corporations exist as separate legal entities, they can have long life expectancies since they don’t automatically dissolve if the owner leaves. The downsides to a corporation include cost and complexity. Depending on how the company is set up, it could potentially cost thousands of dollars to get a corporation started, in addition to the ongoing fees required to maintain a corporation. There’s also a high level of regulation at federal, state, and sometimes local levels, which means there’s a lot of paperwork to be done. Double taxation can be another downside; profits are taxed at the corporate level, and then again as shareholder income. Choose a business name that is available and that adheres to corporate naming rules set out by your state. Appoint the directors of the corporation. Register your corporation by filing articles of incorporation. You’ll need to pay the filing fee for the paperwork – the fee ranges from $100 to $800 depending on the state that you incorporate in. Issue stock to the initial shareholders of the corporation. 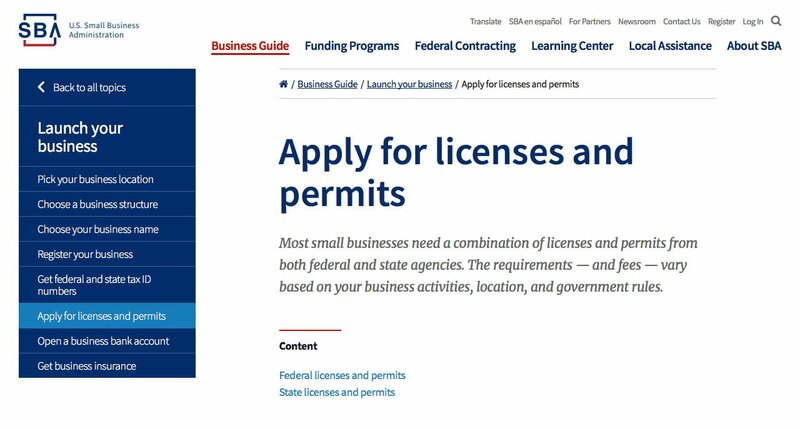 Obtain necessary licenses and permits for your business. This is a type of corporation that begins as a standard C Corporation but then makes a tax election to pass their corporate income, losses, deductions, and credits to their shareholders. Shareholders are then required to report flow-through income and losses on their personal tax returns and are assessed tax at their individual tax rates. This allows for S Corps to avoid the double taxation that a standard corporation would be subject to. Keep in mind that S Corporations aren’t allowed to have more than 100 shareholders. So if you are planning to expand your shareholder base significantly, or you intend to go public, the S Corp structure won’t be your best option (publicly traded companies often have thousands or millions of shareholders). To set up an S Corporation, you first need to be structured as a C Corporation. All shareholders need to sign and file Form 2553 in order to elect S Corp status. After you’ve made this change, you’ll need to obtain proper business licenses and permits, which vary by state. This structure allows two or more people to hold shared ownership of a business, and each partner needs to contribute money, property, labor, or skills to the business. This structure is simple and inexpensive to form, and many people enjoy sharing the commitment and liability with someone else. Downsides revolve around maintaining working relationships and dividing labor and liability. As can be expected, the possibility for disagreements is high since you need to cooperate on big decisions; as with any relationship, learning to compromise early on is key. To begin a partnership, you’ll need to register with the state. This is usually done through the Secretary of State office. Next, you’ll need to obtain relevant licenses and permits which vary by industry and location. Use this licensing and permits tool to sort out what needs to be filed. Finally, it’s a wise move to create a partnership agreement at the outset of your business. Doing so gives you the opportunity to discuss potential issues and get your decisions regarding profits, resolving disputes, how to change ownership, and how to dissolve the partnership all down on paper. Keeping your expenses separate has many benefits. If you operate a corporation or an LLC, separating your finances helps to protect your personal assets from any business debts. 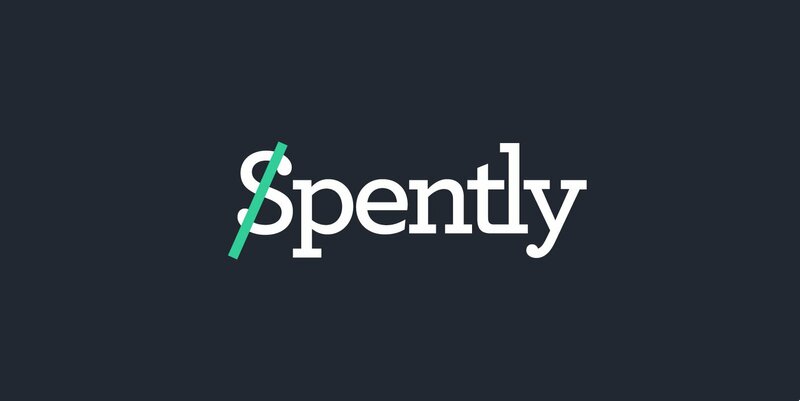 And for everybody, it makes it easy for you to quickly see when and where your business is receiving money from, and where your business is sending money, all from a quick glance at your business bank statement. You’ll also save plenty of work come tax time because you won’t have to painstakingly go through your personal bank statements to highlight which transactions were made for business purposes. Unless you operate as a sole proprietor, you are legally required to open a business bank account and keep your personal and business finances separate. And even if you do operate as a sole proprietorship, we strongly recommend that you open a business bank account and keep your business expenses separate. Savings Accounts: It’s a good idea to use a savings account to store (withhold) a percentage of your income to cover self-employed tax payments (Social Security and Medicare), and any unforeseen emergency costs. Credit Cards: Pay them off in full each month to build your business’ credit. 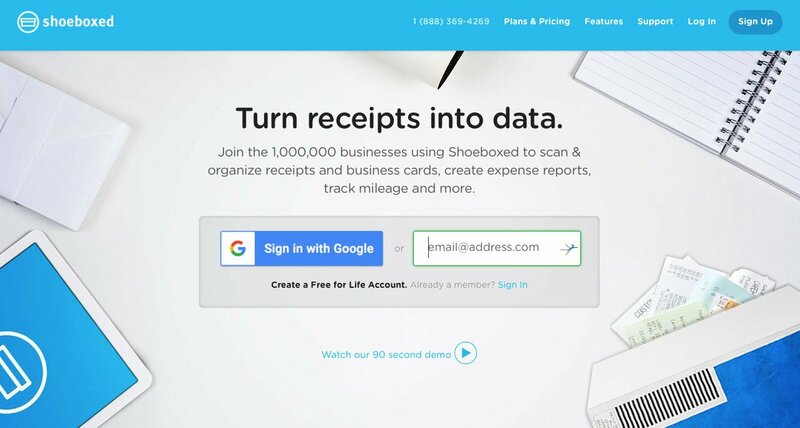 Even though it’s easy to shove all of your receipts into a shoebox and forget about them, tracking your expenses properly also allows you to see where you’re spending money, and helps you to claim all of the deductible expenses available to your business (which can lower your tax bill). Keeping records isn’t just helpful for filing your taxes and monitoring your finances—it’s a legal requirement imposed by the IRS. Besides, having a system to track your expenses and keep well-organized business records will make your life that much easier in the long run. Generally, you need to keep tax records for three years from the date the return was filed, or from the due date of the tax return (whichever is later). If you filed your return early, it’s treated as being filed on the due date. Note, there are some exceptions to this rule. Stuffing your records into a dusty shoebox is only going to result in headaches and additional work come tax time. When it comes to storing your receipts and records, you could go the old fashioned route and store your records in a filing cabinet. But you’re a modern ecommerce entrepreneur, so take our advice, go paperless, and store your documents electronically. While the IRS does accept digital copies of documents, you need to be able to produce a printed, legible copy of the document if they request it. Store copies of your receipts and tax records online in a secure cloud storage system like Sync, Dropbox, Google Drive, or Evernote. Or, use a service like Shoeboxed. Here’s a great hack: Set up an exclusive accounting email address (accounting@yourbusiness.com) then set up a mailbox rule to automatically forward emails to your Shoeboxed email address. Then, every time you get an invoice or receipt, forward it to your accounting email address and it will be digitized in their system. We’d also suggest keeping a backup copy of the documents in a second location, like a password-protected hard drive, or a secondary cloud storage system. What Expenses Should You Track? First and foremost, you’ll need to track (and keep proof of) every deductible expense that you intend to claim on your tax return. In general, the IRS allows you to deduct expenses that are both ordinary and necessary to your industry. If you want to double check that you’re claiming every deduction available to your business, here’s an extensive list of small business tax deductions. It’s important to note that this is not a comprehensive list, as the nature of your business will affect the type of records you need to keep for federal tax purposes. If you’re new to the business industry, you’re probably thinking: “Why on earth do I need do to bookkeeping?” And who could blame you? Bookkeeping is frequently voted as the task most small business owners loathe. Unfortunately, the IRS requires that you keep financial records. Bookkeeping—the act of recording your business’s daily transactions in a consistent way, and compiling them into financial statements—was the answer to this requirement. Plenty of seasoned entrepreneurs don’t quite know how bookkeeping differs from accounting, so before we dive into the options you have for getting your books done, let’s clear that up first. Bookkeeping is the process of recording daily transactions in a consistent way. Record keeping and preparation fall under bookkeeping. On the other hand, broader things like designing a system and analyzing/verifying information are related to accounting. The processes that comprise bookkeeping are key, because they keep your business running smoothly day-to-day, and they prepare your business for the higher level strategy work that happens in the accounting realm. Without bookkeeping and tax-ready financial statements, you would struggle to understand the financial health of your business, make important strategic financial decisions, and working with your accountant would be extremely difficult. You have a few options when it comes to getting your bookkeeping done. Your options basically include DIY, hiring someone in-house, or outsourcing to a company like Bench. If you’re new and your business is relatively small, your best bet is to save on costs and do your own bookkeeping to begin with. Your bookkeeping burden won’t be too large to handle, so try a do-it-yourself software like Wave. It’s made for small businesses, and it’s free to use. If you’re feeling ambitious, check out free online bookkeeping courses like this one from Accounting Coach. After all, if you’re going to do your books yourself now, you’ll want to make sure you’re doing them right. As your ecommerce business grows, you’ll find that your bookkeeping admin will increase, and it will take you away from other important tasks. This is where outsourcing comes in. 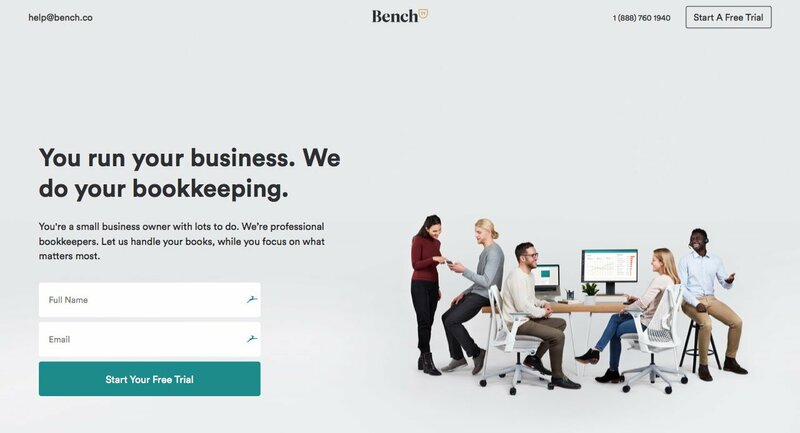 Using an online bookkeeping service like Bench, you can hand your bookkeeping work off to a professional bookkeeper, but you won’t be faced with the cost or administrative hassle of hiring an employee to take care of the books for you. Each month, your financial statements will be sent to you, and you can contact your bookkeeper online or on the phone at any time. Larger businesses with a huge bookkeeping workload will often hire a bookkeeper to work in-house. It can be an expensive option, so it really shouldn’t be something you need to consider when you’re first starting out. Anything related to record keeping or preparation is bookkeeping. Anything broader, like financial forecasting, reporting, and analyzing, is accounting. As we discussed above, accounting is the broader, high-level activity of processing and communicating financial information. Hiring an accountant is a good idea, even if you have a bookkeeping system in place. An accountant will take the financial statements that are produced by your bookkeeper, and make meaningful observations about the health of your business. This high-level look will give you a better idea of how your business is doing, and any course corrections you can make to improve matters. To find an accountant, it’s best to go by referral. Check in with your attorney, bank, or friends in your industry. The Society of Certified Public Accountants in your state can also help you out (let them know you’re looking for a CPA with experience in ecommerce business). What business expenses can I deduct, and which are partially deductible? Were there any changes to tax regulations that will affect my business? Does my business’s legal structure affect me for tax purposes? Can I deduct my health insurance costs? Can I deduct my retirement plan contributions? How should I deal with tax forms for my employees and independent contractors? What paperwork do I need to keep throughout the year? What can I do now to save on my taxes next year? A good CPA will likely deal with all of these topics anyway, but it’s good to attend every meeting prepared with a list of things you’d like to discuss. If you hire someone to help with your business, it’s crucial that you understand how to classify your workers: Are they an employee, or are they a contractor? The most important reason for classifying workers is to determine which taxes get paid at which time, and by whom. If you get it wrong, you may be on the hook for penalties and back-taxes. So, how do you get it right? 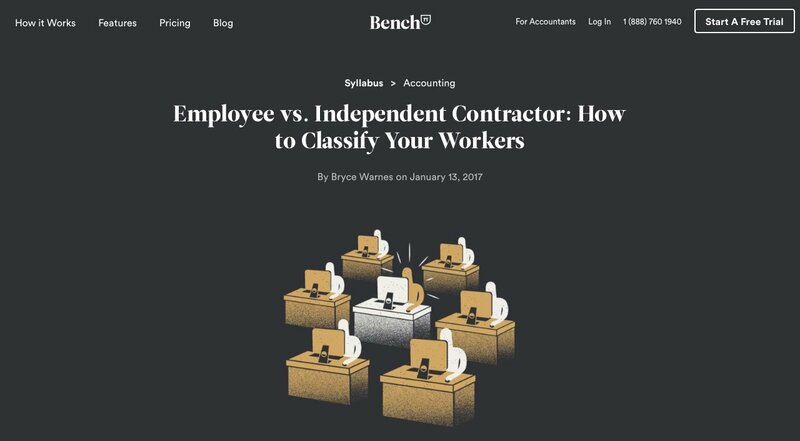 The two most common classifications are employee and independent contractor. An employee is someone that you have behavioral and financial control over, within reason. So if you train the worker, set specific hours, and decide how work will be completed, that person is your employee. However, if the worker sets their own hours and decides how and when they’ll complete their work, they’re likely to be an independent contractor. You’ll need to file different tax forms depending on if you hire an employee or an independent contractor. If you pay an independent contractor more than $600 during the tax year, you’ll need to arrange a Form W9 and file a Form 1099. The Form 1099 is a tax form that the IRS uses to track miscellaneous income. You’ll use it to track and report payments made to independent contractors. For example, if you hire a designer to create a logo and marketing collateral for your shop, and you pay them more than $600 in the year, you’ll need to issue a 1099 to them. In order to get the info you need to complete a 1099, have each of your contractors fill out a W9 and keep it on file for them. Submit the section “Copy B” to your contractors, and submit “Copy A” to the IRS. Services like Gusto will submit 1099s on your behalf, which is a nice timesaver. For employees, you’ll need to file a Form W-2, and withhold and pay taxes and benefits. When you run a business yourself, most governments expect you to pay tax on your profits. That means, come tax season, you’ll need to add up all your profits (easily done on ecommerce platforms like Shopify or BigCommerce) and subtract your expenses to build, launch, and market your business. You’ll tell the government how much you made (on your personal tax form if you choose not to register your business as a separate company/corporation, or if you do register a separate entity, on an additional filing for that business). As an online seller, you may have heard words like “nexus” or “sales tax compliance” thrown around. If you’re serious about succeeding in ecommerce, you’ll need to have a firm understanding of what these terms mean, and how to properly comply with the complex world of sales tax. In order to have tax nexus in a state, your business needs to have some sort of connection to the state. Most states consider a “physical presence” to create nexus. This can include having an office, an employee, a warehouse, an affiliate, inventory storage, drop shipping from a 3rd party, or temporary presence at something like a trade show. In almost all cases your business will have nexus in your home state. However, it’s possible for you to have nexus in multiple states. Use this guide to determine where your business has nexus. You will need to collect and pay sales tax in each state where you have nexus unless you are lucky enough to have nexus in one of the five states that don’t have sales tax. 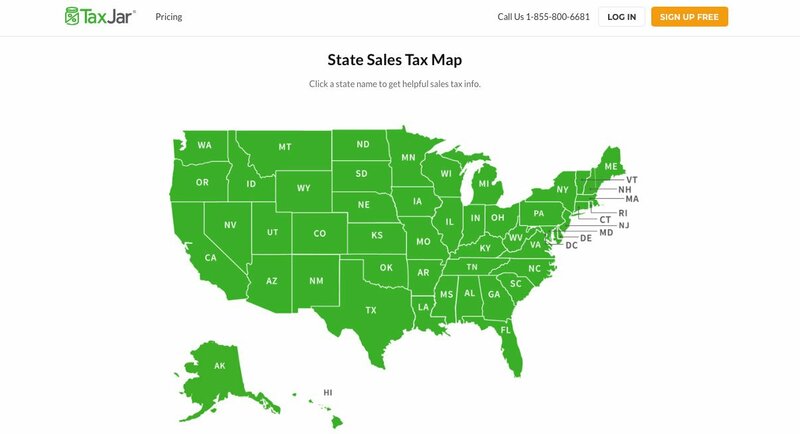 Once you know where your business has nexus, refer to TaxJar’s State Sales Tax Map—it lists the sales tax collection requirements of each state. A lot of online sales platforms, such as Shopify and BigCommerce, will help you calculate and collect sales tax, but keep in mind that it’s still your responsibility to make sure you’re charging the correct amount. You’ll need to remit (i.e. file and pay) sales tax for all states where you’re collecting tax. Every state varies a bit in terms of its requirements, but most allow you to file and pay online (some actually require it). Using a service like TaxJar is one way to ease the sales tax burden since they’ll subtotal your sales and sales tax collected by area. And a big bonus? Their AutoFile feature will file your sales tax returns for you, automatically. Learn more about TaxJar’s features and services in our TaxJar Review. The world of small business accounting can be overwhelming, but once you understand what’s required of you and get a good system in place, it’s much easier. The info in this article will get you through a lot of the process, but let us know if you come across anything confusing as you deal with it all – we’d be happy to help! 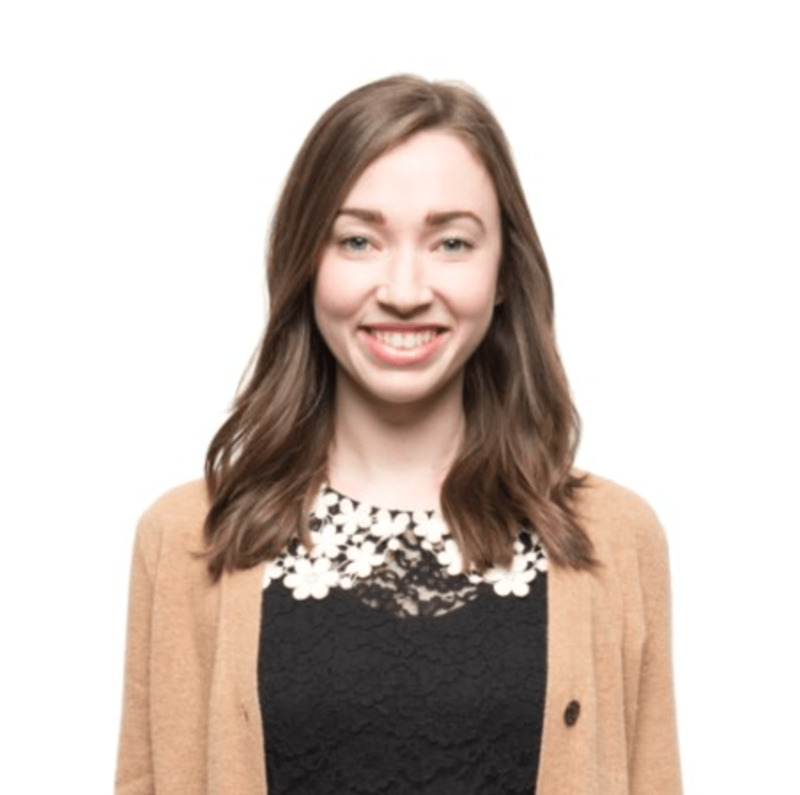 Kendra is Bench’s Brand and Content Specialist. When she’s not writing or designing with Bench, she’s working on building her online home goods store.